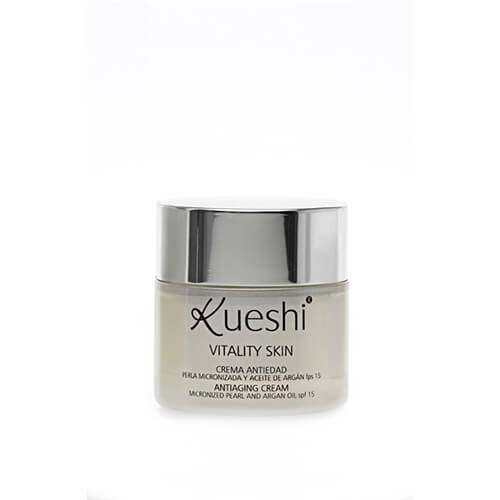 Vitality Skin cream with micronized pearl tonic-firming properties, provides elasticity and firmness to the skin while light. Its moisturizing factors protect the skin all day, noticing since its first application. Vitality Skin – Anti Aging Micronized Pearl and Argan Oil Cream with micronized pearl tonic-firming properties, provides elasticity and firmness to the skin while light. Its moisturizing factors protect the skin all day, noticing since its first application. Rosehip oil and Argan provide deep protection and stimulate skin regeneration. Given its high penetrating power, your skin will not be fat. 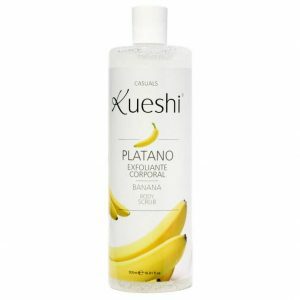 Using this cream enjoy a silky, smooth, bright and shine skin. The delicate fragrance of its natural components and texture rapidly absorbed, provide a feeling of wellbeing. SPF 15- help protect skin from sun damage thanks to its protection factor. Especially suitable for damaged skin, requiring a quick recovery. Apply morning and / or evening on clean skin of the face, neck and décolleté using gentle circular motions. Ingredients: Aqua, Octyl Palmitate, Isononyl Isonanoate, Ethylhexyl Methoxycinnmate, Stearyl Alcohol, Glyceryl Stearate, Methyl Glucose Sesquistearate, Glycerin, Argania Spinosa Kernel Oil, Rosa Moschata Oil, Benzyl Alcohol, Dehydroacetic Acid, Pearl Powder, Tocopheryl Acetate, Imidazolidinyl Urea, Carbomer, Parfum, Disodium Edta, Sodium Hydroxide, Geraniol, Limonene.